Tori fired her maneuver jets and breaking thrusters as she watched the first wyvern plummet. She hadn't realized that they had riders and that gave her a queasy feeling. Not for killing the rider but that she might be killing a wyvern that had no choice but to fight, much like horses in her world. She spun the mech and opted to try some thing different to test a theory. She picked one of her foes and rocketed towards it as if she were going to ram only to alter course at the last second to overfly the beast and using her sword cut the rider from the wyvern's back! Tori click the key to summon the Banshee while Ryan asked his question, she didn't answer immediately, instead she watched the Mech unfold from is't interdemensional space. She hadn't really considered that aspect, the killing part, before. She was going to be a soldier, a pilot and that meant the possibility of killing, but that killing would have been in service to her country and she felt she could justify that. But what about this? Who was she serving here? "I don't know Ryan, I don't really understand any of this. But I'll do what I have to do to get us home," she said as she inspected the mech to make sure it was ready. "Wyverns? Is that like a dragon?" Tori asked thinking that fighting a dragon in the air might be cool. "Okay that sounds like a plan I guess you better get me caught up on how your military operates so I can fit in." Tori took the bottle back and put it in it's holder on her belt all the while eyeing Daizo, "I was joking, Daizo. It was a joke. I know this is real, I'm the one that drive the giant robot remember. But back home all of this would be enough to put me away at the funny farm. So with Vesper and Yuuki off playing Hogwarts, what exactly is there for me to do here?" "Yep I run ten miles a day as well as do weight training, martial arts classes and firearms practice. My dream is to be a pilot and a special forces soldier" She slows and stops to pull her water bottle from her belt and takes a long drink while staring out over the castle wall. She offers the plastic bottle to Daizo when she is done. "At least that was my dream. Now i drive a giant robot in weird multidimensional wars on planets that probably don't even exist anywhere but in my sick crazy head. I'm probably in a straight jacket on a funny farm some where out in the country and you my new friend are probably a delusion." Tori narrowed her eyes when the knight offered to go running with her. pfft men they are all alike even on different worlds. "The ramparts are fine. you can come along if you like but i'm sure I can handle and 'problems'," she mad air quotes when she said problems, " your people might try to give me." She followed Daizo up onto the wall and did some stretches before taking off at a good running pace. If the guy wants to play the hero he's gonna have to work for it. 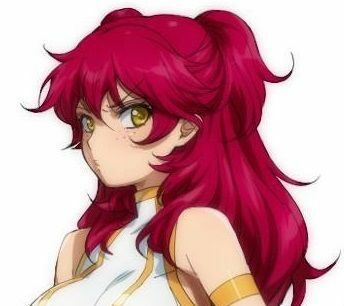 Tori finished her donut with a scowl, figures the only thing I'd find to like around here would be something from home, she thought as she went back to her room to change into something more suitable for running. After changing Tori went outside and looked for someplace where she could run and exercise. "Yeah, I'm not much into all this mumbo jumbo stuff and since Ryan got the info trade covered I think I'll pass." Tori said with a smirk "Plus there's still plenty to sample from the kitchens." Tori produced a maple covered donut (or what passed for them on this world) and devoured it in three un-lady like bites. Tori glances at Vesper and Nods. "yeah what she said." "So basically we are here to nation build." stated Tori, "And that worked so well back on our world." She frowned at the cup of...whatever it was in her hand. Tori was red faced from embarrassment as ryan tore into Vesper she immediately realized that it was her fault for losing her cool and that he should have been yelling at her as much as at Vesper. head hanging low she followed the goth chick into the hall and as she came up behind Vesper she mumbled "Sorry." then sat beside her. "Okay then, lets look at this strategically. Theo needs to be the one to off Vorn and then we need to get a wedding going and we need to learn magic, or at least two of us do. Right. We go to this magic teacher first, we offer her what we have for trade and she or he, whatever, teaches two of us. While that is going on Ryan you train Theo, not that hes a slouch in the sword swinging department but just to teach him what you can so he has an edge against Vorn. Then when all the training is done. we confront Vorn finish that off and then maybe the magic we learn will help us figure the rest out." Tori spoke rapidly to get it all out. 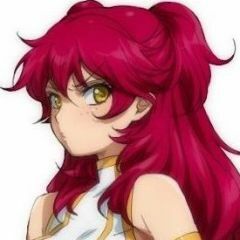 Tori looked up from where she was pouting and glanced around. "I might have some books..." Ryan glanced back through the open a questioning look on his face. "I told you I have finals I figured I would be able to get some study time in at the store..."